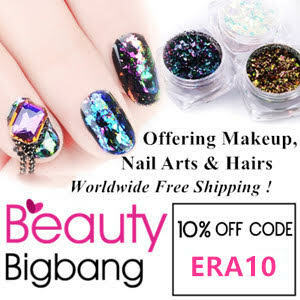 This polish is completely amazing, I totally love it! 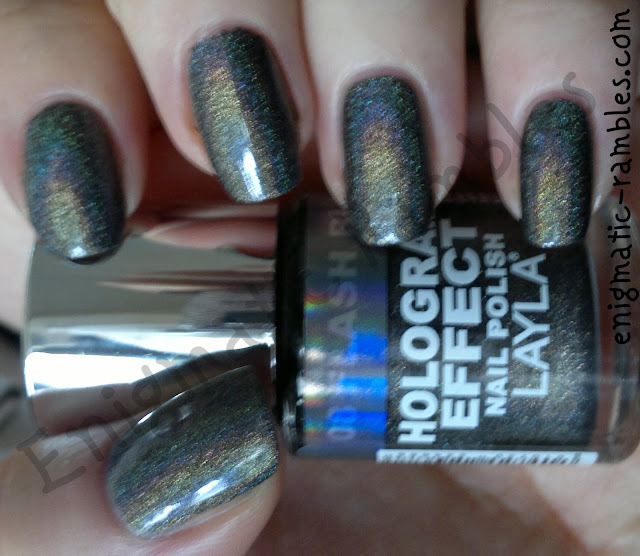 My sister got me it for Christmas but I had been waiting until we finally got some sun in the UK to show it off to it's full amazing holographic potential. Which is why this is a picture heavy post! Even indoors without direct light it is still amazing. These photos are three thin coats and they do have a habit of dragging so make sure the coat before is fully dry before going in with the next one. 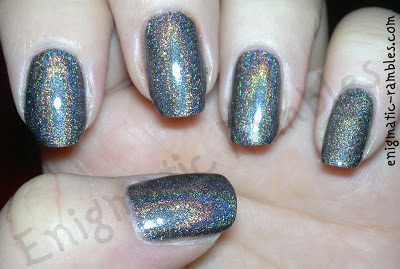 I didn't use a base coat but I did use a topcoat, Gelous which didn't dull the holo as you can see. 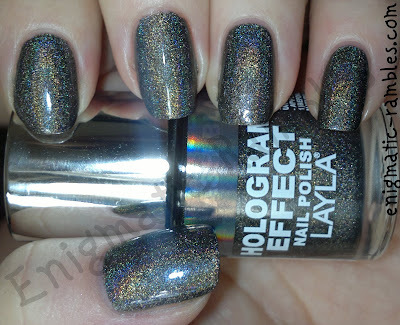 So yes this is an amazingly strong linear holo polish, however again this isn't a black holo. More of a grey / charcoal holo, it must be difficult to make a holo in true black, my mission is to find one! 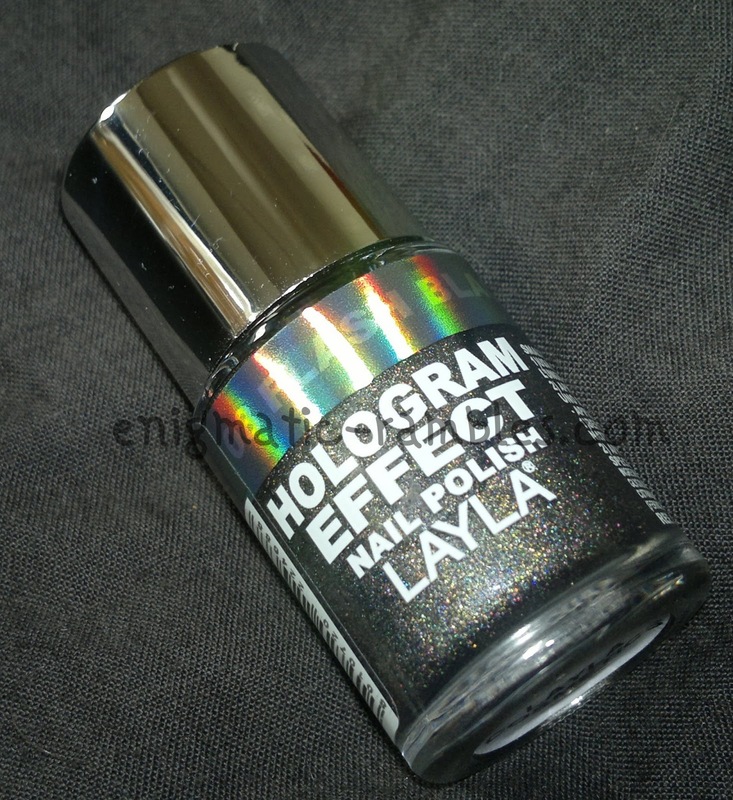 Closest is A England's Bridal Veil however the holo isn't very strong. 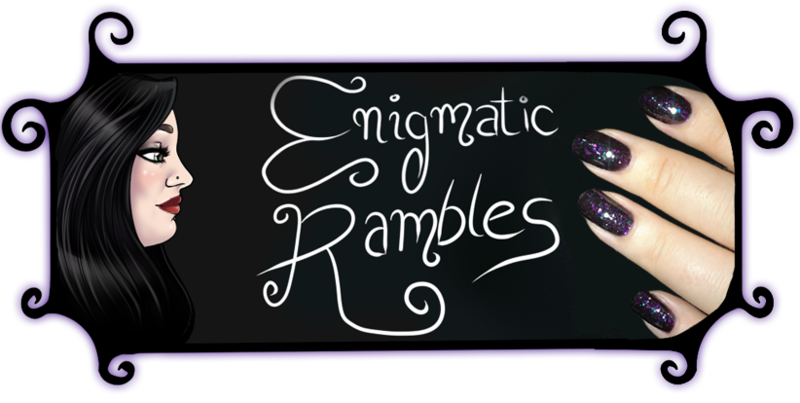 If you happen to have any suggestions do share them with me. That's weird - I was wearing this yesterday! I agree it's quite grey, but I think with all the rainbow, it doesn't really matter! 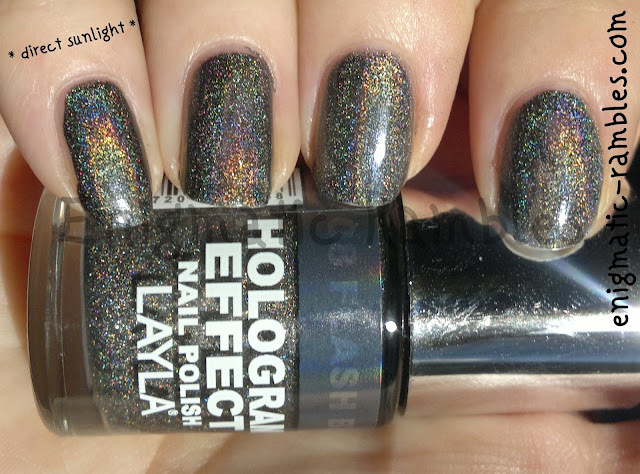 It's a real beauty, even just by candlelight you get the holo effect. 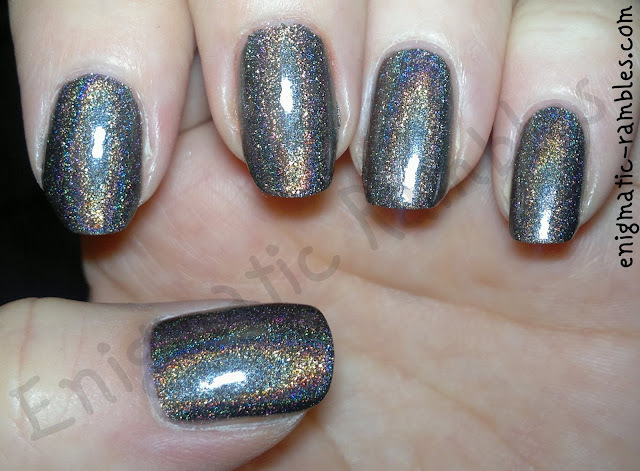 I've heard that Color Club Beyond is pretty close to black, but I think it's the holo particles themselves that are silver, and so lighten the base. Maybe. I might have just made that up! Totally agree it is amazing, even in low lights. I've had two Color Club recommendations, yours and Revolution. Jade Magia is nice too, perhaps I ought to compare the two? Me too, the bad weather can be quite depressing.